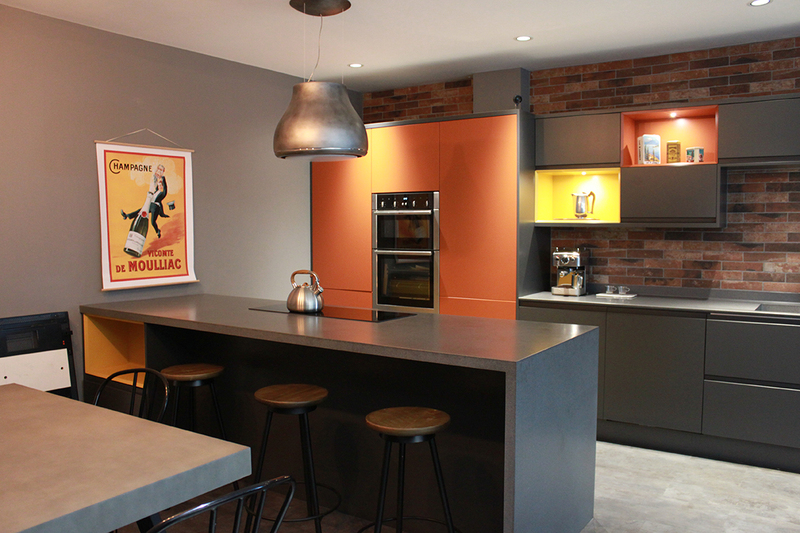 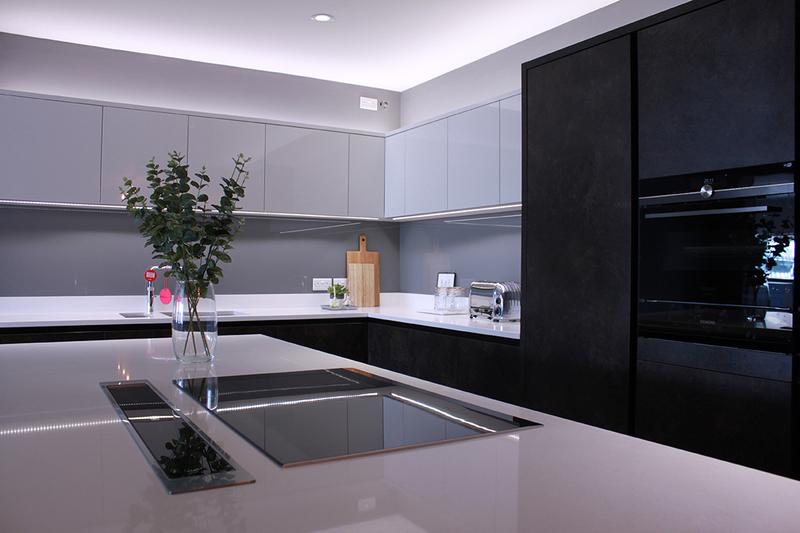 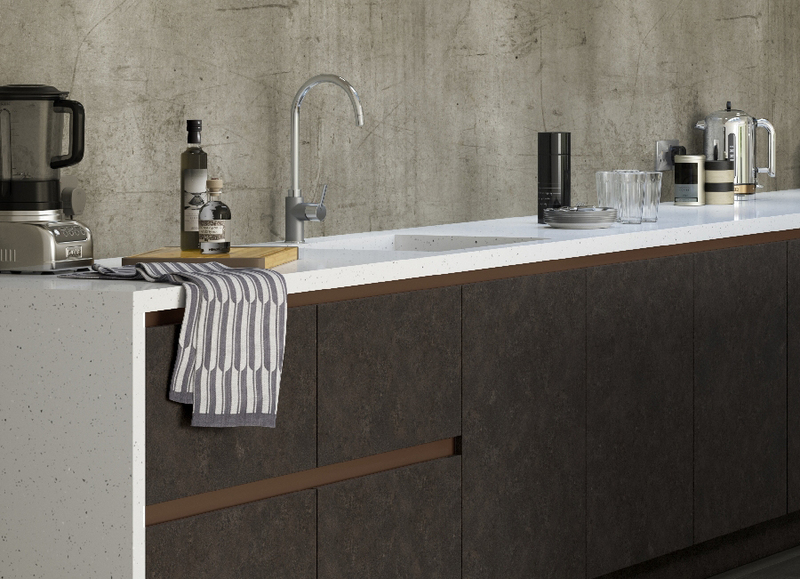 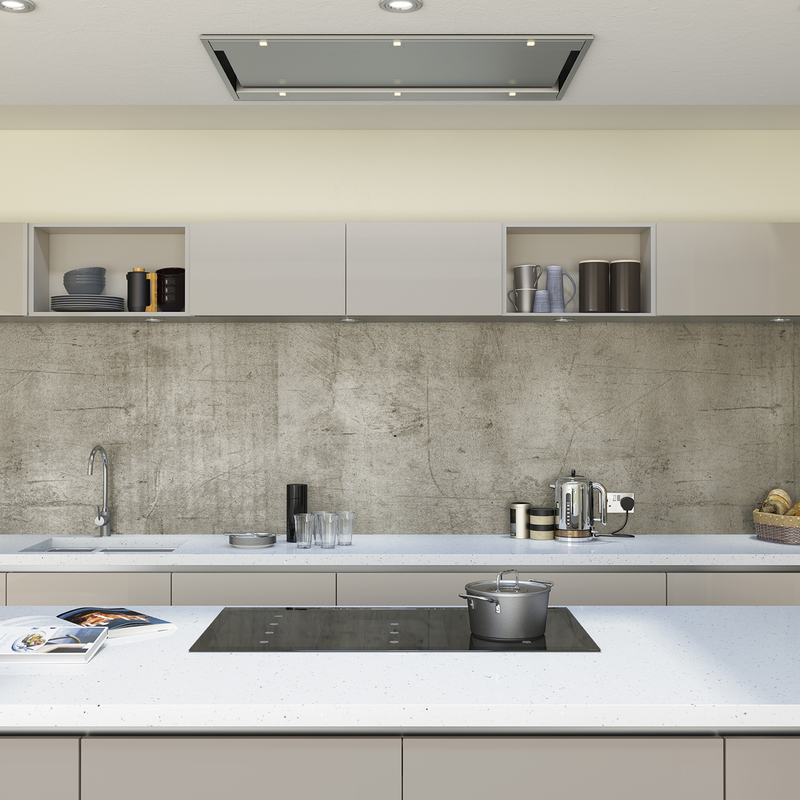 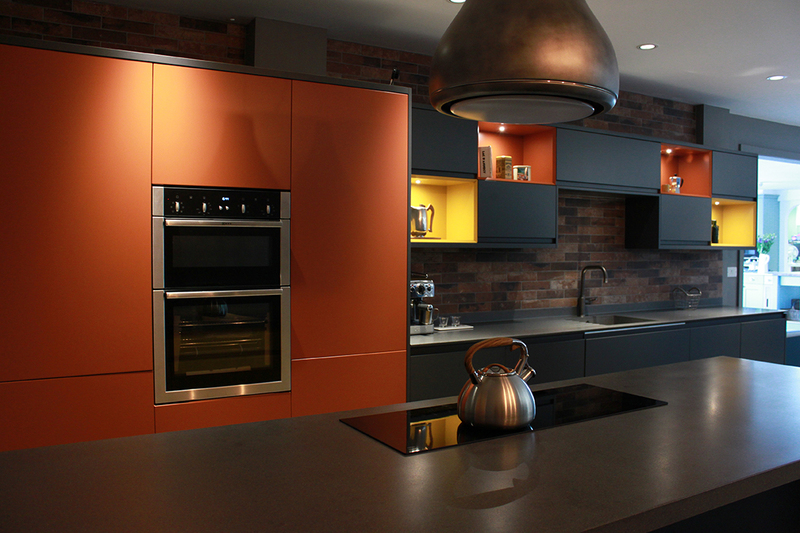 Aluma is a new design concept which sees silky aluminium rails recessed into your kitchen cabinets between doors. 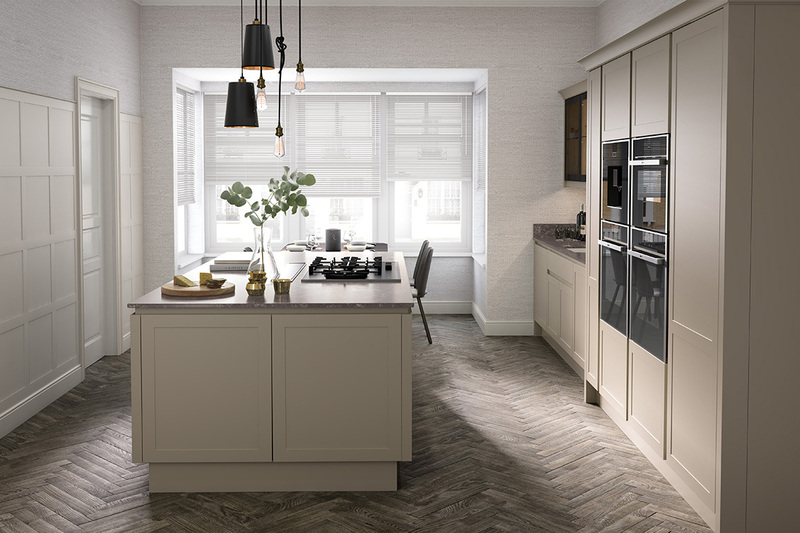 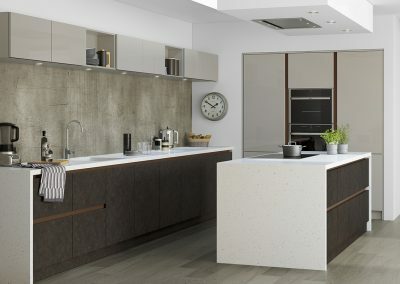 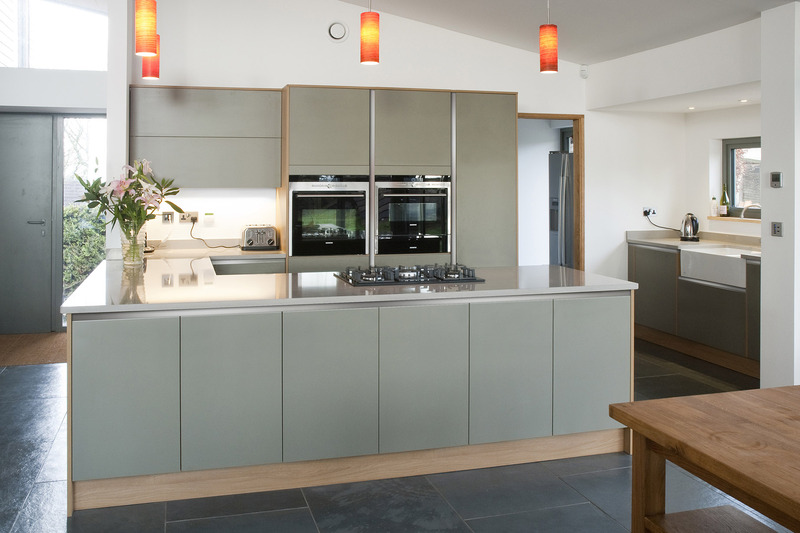 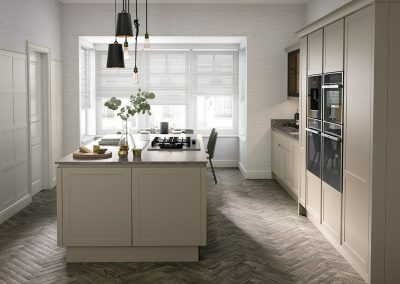 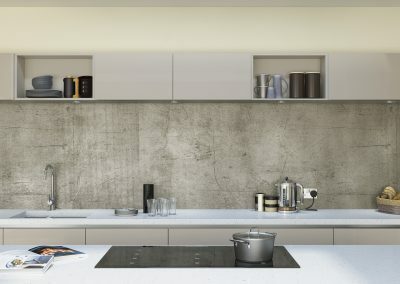 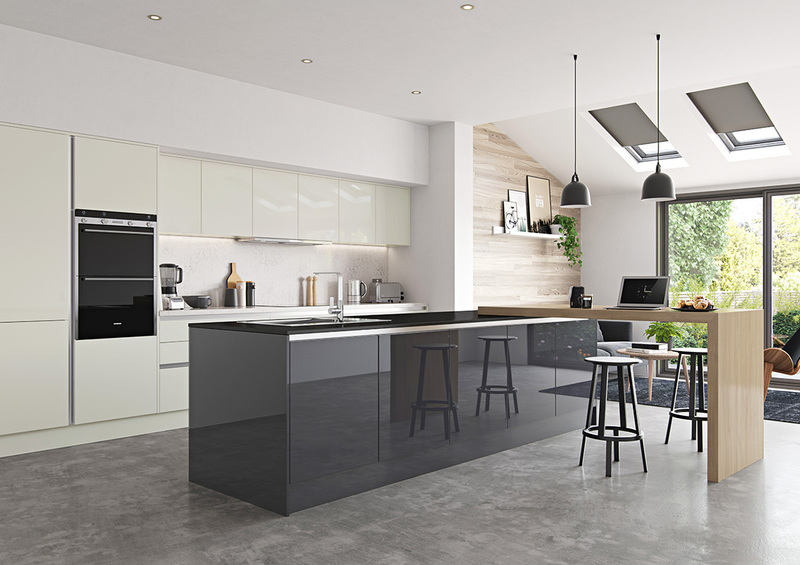 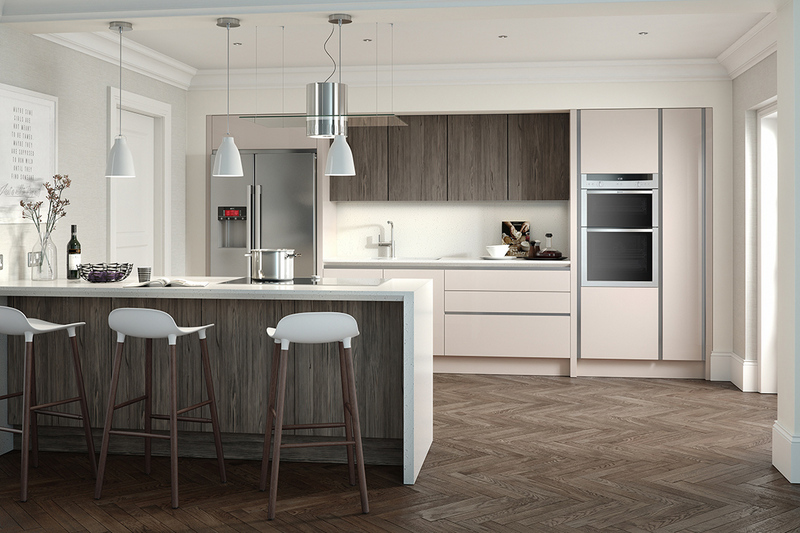 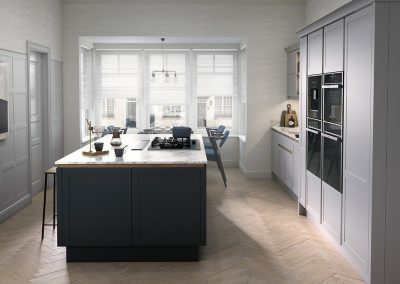 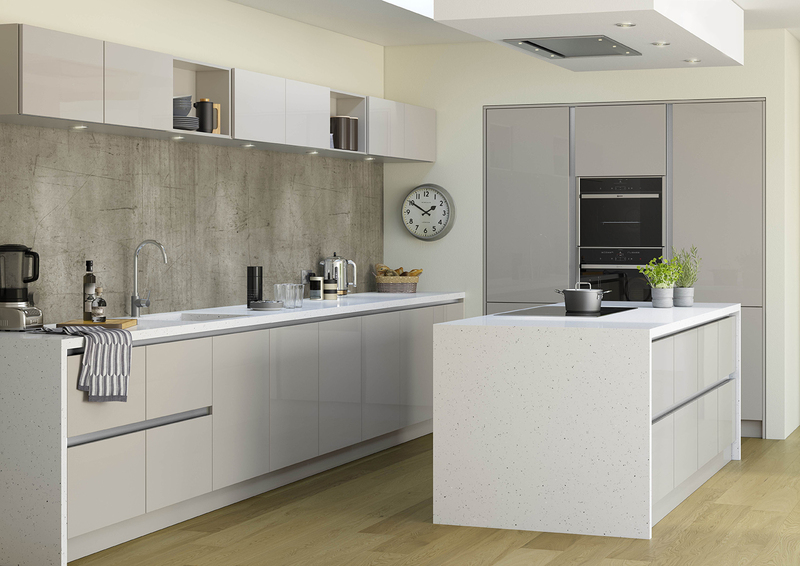 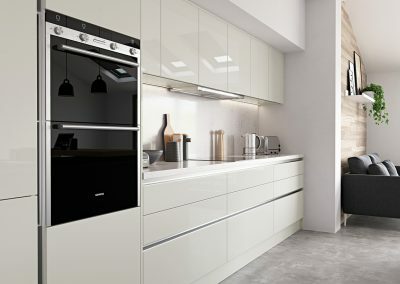 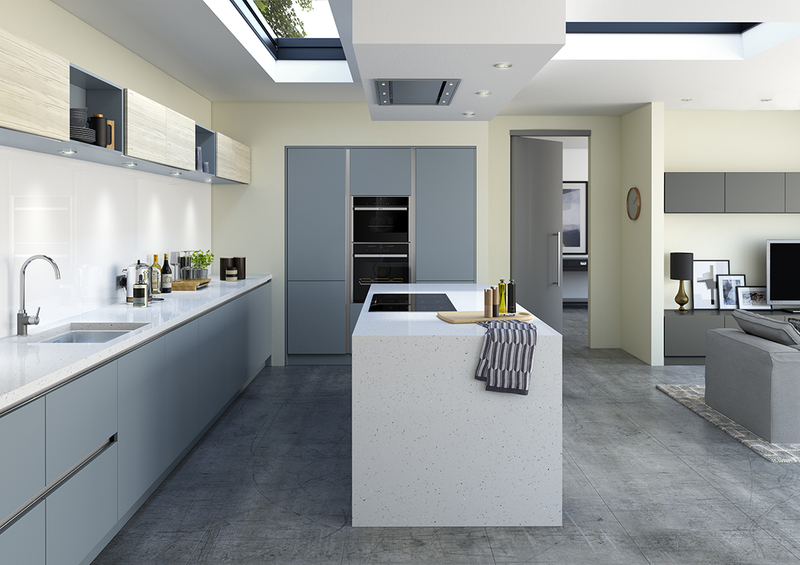 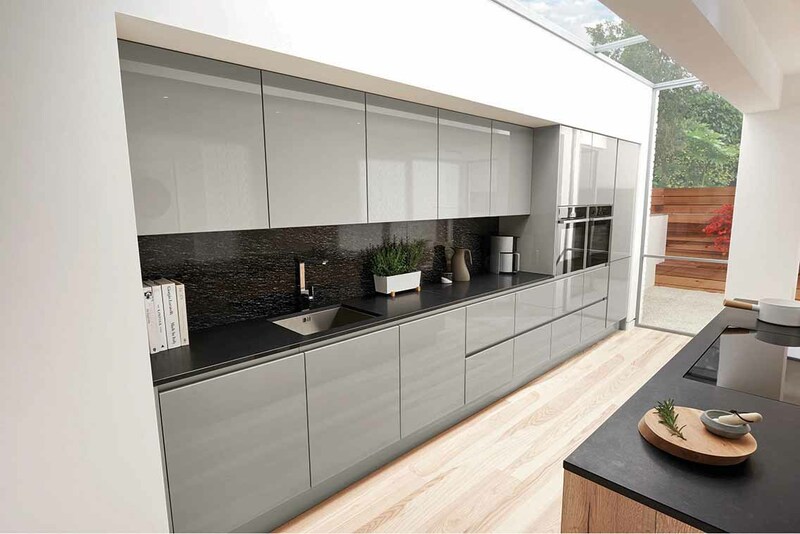 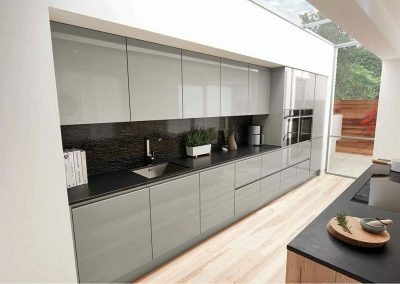 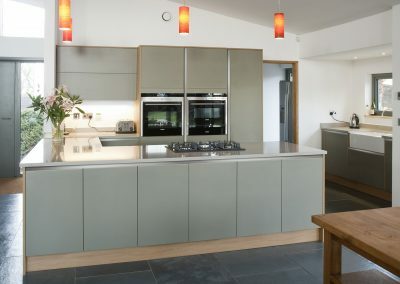 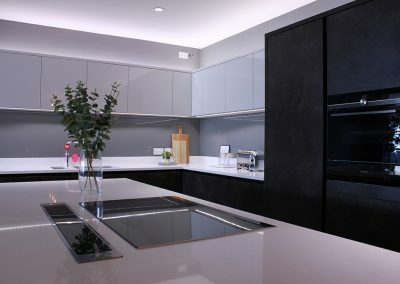 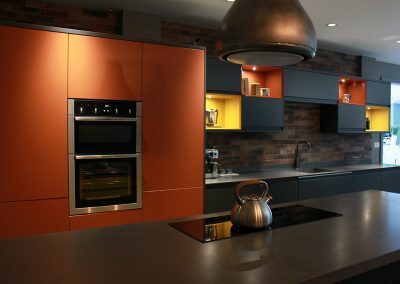 This means the doors stand proud of the cabinets and space is provided for you to slip your fingers behind the top or bottom of the door in order to open them – thus creating the ultimate handleless kitchen. 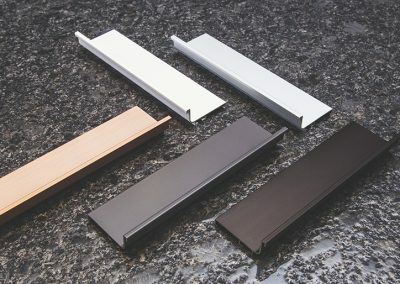 Thanks to our feather-light drawer runners and ultra-smooth hinges, drawers and doors are opened with virtually no effort at all.